Weet‐Bix Cholesterol Lowering has been recognised as an ABA100 Winner for Product Innovation in The Australian Brand Awards 2018. 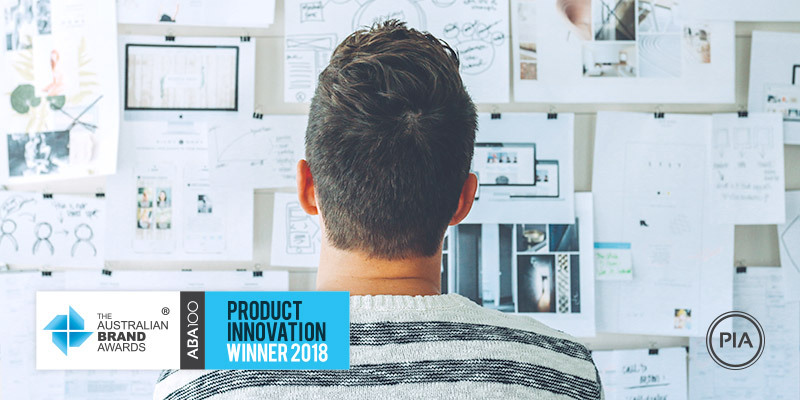 The Australian Brand Award for Product Innovation [PIA] recognises innovative consumer products offering a point of difference from their competitors. Sanitarium started making healthy, nutritious foods for Australians more than 110 years ago and today remains 100% Australian owned. Sanitarium’s mission is to share with the community a message of health and hope for a better life. To improve the health and wellbeing of all Australians, Sanitarium created nutritious breakfast cereals, including the iconic Weet‐Bix™; led the development of soy milks with its So Good™ products; created the liquid breakfast category when it launched UP&GO™; and supported the growing interest in vegetarian eating with its Vegie Delights™ range of meals and ingredients. Weet‐Bix™ Cholesterol Lowering takes Australia’s No. 1 breakfast cereal and adds the functional benefit of cholesterol‐lowering plant sterols. Weet‐Bix™ Cholesterol Lowering is the only cereal product on the market to contain 2 grams of plant sterols in 1 serve, making it an ideal choice for people wanting to reduce their cholesterol. A number of large, long‐term studies clearly show the important role that elevated cholesterol plays in heart health. Lowering cholesterol is recognised by leading health authorities as an important contributor to improving heart health. The most effective cholesterol lowering dietary strategies are replacing saturated and trans fats with unsaturated fats and daily intake of plant sterols, as part of a healthy diet. These two strategies account for the majority of cholesterol lowering effects that can be achieved through dietary intervention. A daily intake of 2 grams of plant sterols from plant sterol enriched foods, as part of a healthy diet and lifestyle, has been proven to lower LDL (or ‘bad’) cholesterol by up to 9%. The cholesterol lowering benefits of plant sterols are additive to statins therapy, so the Heart Foundation also recommends that people taking statins can benefit from eating plant sterol enriched foods in addition to statin therapy. Weet‐Bix™ Cholesterol Lowering is an effective, easy, and enjoyable way to increase intake of plant sterols. The launch of Weet‐Bix™ Cholesterol Lowering into grocery in September 2017 serves to maintain the brand’s position as Australia’s leading breakfast cereal, and reinforces Sanitarium’s commitment to supporting good health through good nutrition.